Born in Dallas, Texas in 1970, Mr. Anderson discovered his love for music at the early age of 10. He started playing drums, until he found his true passion for the saxophone. He began studying with James Wilson, who would give him a pinch for each mistake, which he attributes today for his dedication and hard work. At this time, Keith Anderson was accepted to Arts Magnet High School later renamed The School for Visual and Performing Arts, where Keith was under direct leadership of Bart Marantz. Mr. Anderson’s talents and unique flair for playing the saxophone can be attributed to much and many. Keith started playing locally with a singer by the name of Pat Peterson, who was one of the original Raylettes and now is one of the singers for John Cougar Mellancamp. Later, Keith would be discovered by the legendary Les McCann. This was a man of major influence and of many commendations. Since then Mr. Anderson has traveled the world as Les’s featured soloist and has performed for thousands. He has played with many great artists all around the world. These artists include: Roy Hargrove, Erykah Badu, Bobby Lyle, Kirk Franklin, and the great Cab Calloway during which it was quaoted many times that Mr. Anderson was “the newest of the Texas Tenors.” Mr. Anderson’s most recent engagement consists of recording with Al Jereau on his new album to be released in 2004. On this project he accompanied Mark Simmons, Larry Williams, and Christian McBride. To show Mr. Anderson’s “Diversity” he was recruited to record with hip-hop guru Kanye West on his 2004 album. These projects forecast many unending opportunities for all jeundeas of music. Keith’s named mentors include: Cannonball, Coltrane, Les McCann, Grover Washington Jr., Kirk Whalum, and Kenny Garrett. Mr. Anderson views his music as motivational and inspirational. “Diversity,” his debut CD, lives up to it’s name. 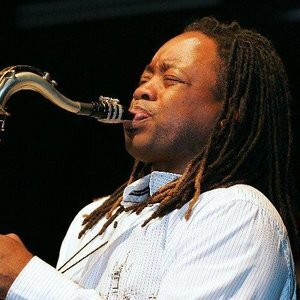 Anderson’s accomplishments include published songwriting for such artists as Roy Hargrove, Paul Jackson Jr., and various artists for Sony Records. Mr. Anderson’s future embraces his next CD release coming out this summer. Anderson continues to produce CD’s, tour, and express himself through his songwriting.